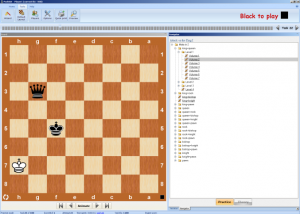 Chess King Standard is a chess program that combine several chess training tools in one. After going over the review copy I was very impress by how easy is to navigate the program, and the variety of chess content. Chess King Standard has four main training tools named, games, database, analysis, and training. The games tab contains with several folders with different material aimed that can be use for players from beginner to advance. 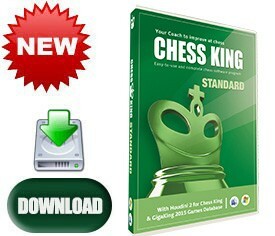 Beginner chess players will benefit from going over the thirty four annotated games available in Chess King Standard. 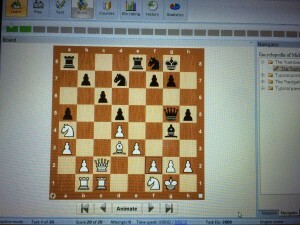 Study annotated games from strong players is the easiest way to enjoy good chess and select a chess role model. As chess players we usually have preferences over a particular chess style, aggressive or calm and finding a chess role model will help us to develop our own “chess style”. Advance players will benefit from the two thousand games commented in informatory style and the GigaKing database, a chess database with over five million games. The database function in Chess King Standard allows players of any strength to record their casual and tournament games and to import databases. 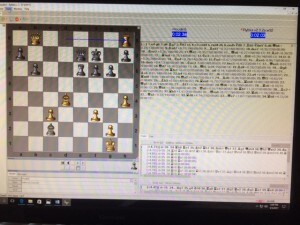 I tested Chess King Standard’s game recording and database capabilities, and it worked fine. 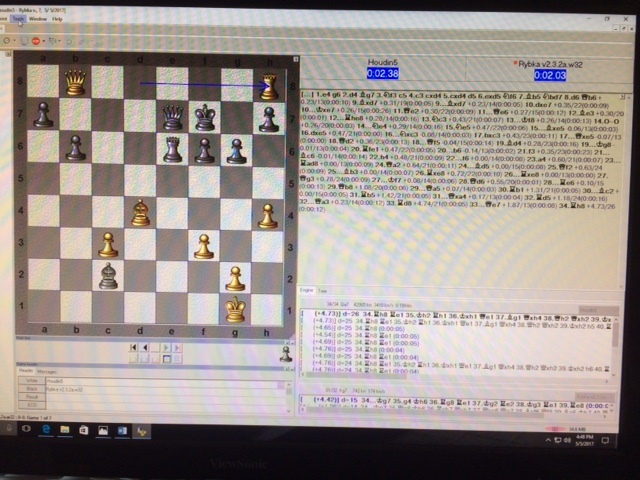 To be more specific, I recorded one of my recent tournament games and also imported a chess database in portable game notation format or pgn, without any problems or glitches. As a coach I think that Chess King Standard database potential helps a chess player to keep his/her games organized, ready to share them over the internet with his coach and to have them ready for analysis. Chess King Standard has game analysis power fueled by the chess engine Houdini 2(ELO 3200). The player can customize the game analysis accordingly to his needs. For example, a game can be analyze to find blunders only, in great detail or “express”. At the end of the analysis a player has a “tactical picture” of the game and a way to check his initial annotations of the game (yes, annotate the game first in your own words and then run the engine). A word of caution. Chess engines are useful tool in the analysis of your games, but ultimately, the players must use his own brain to try to discover tactical possibilities/errors. 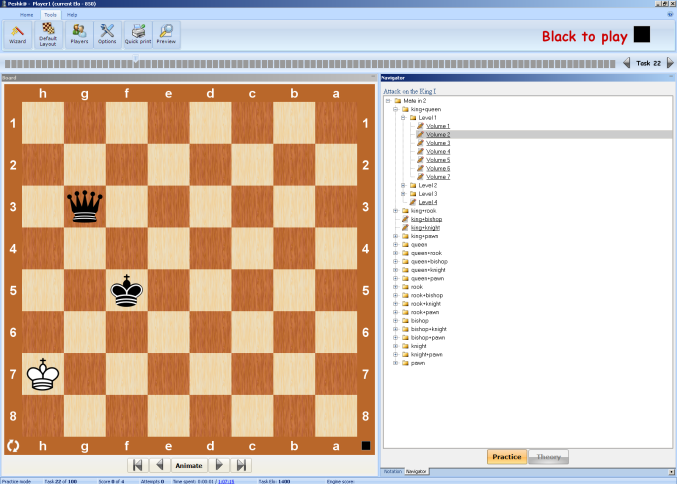 The training function in Chess King Standard offers several possibilities such as Quest mode and puzzles. The puzzle are organized from easy to difficult and the players gets “coins” as he moves up the puzzles ladder. It is worth to mention that as you solve the puzzles you unlock the advance puzzles. In other words, Chess King Standard does not let you jump levels. In modern chess, the explosion in chess theory makes difficult for an unprepared chess player to reach a playable middlegame. Long gone are the days when a chess player was able to show up to a chess match and just made things up in the opening. Now, most players can access opening database and punish their opponent’s early tactical mistakes. In fact, many players specialize in making the opening their favorite hunting ground. A player may solve his lack of knowledge in the opening in two ways. First, a player may choose to play an unambitious system opening with a narrow scope for tactical play and hope to outplay his opponent in the middlegame or endgame. The second option is to bite the bullet and learn the typical tactics associate with the opening you play as black and white. The first option sounds good in the short run, and it is viable for players with limited time to study chess. The problem with this approach is that in the long run a player’s chess may become stale due to lack of variety. The second option is what I recommend to my young and energetic students or adult players with time to invest in opening study. The benefit of this approach to opening study is that in the long run the player will be able to play different types of middlegames and nurture his/her chess creativity. In this article I will suggest how to use a software tool to speed up your tactical opening preparation. What aspects of opening preparation have to be part of a good training program? The material must be systematic and show the historic development of the chosen opening overtime. The material must be geared to the trainee chess strength. The challenges must be right, no too easy no too hard. Tactics in the Chess Openings is a novel chess training tool developed by Convetka that will help to improve your opening play and your chess in general. The tactical training in the opening should prepare a chess players to take advantage of their opponent’s early tactical errors. The Chess Tactics in the Opening courses covers typical tactics and traps in at least nine different openings (the Sicilian is cover in two volumes of course!) offers hundreds of tactical exercises in the context of whole games. The trainee gets the opportunity to solve tactical puzzles and learn opening theory at the same time. In the Sicilian for example, after 1.e4 c5 2.Nf3 Nc6 3.d4 cxd4 4.Nxd4 Nf6 5.Nc3 d6 6.Be2 e6 7.0-0 a6 8.Be3 Qc7 9.f4 is well know that 9…Na5? Is an opening mistake because of 10.f5. The Convetka program shows the series of tactical blows associated with 9.Na5 in the context of the classic game Lasker vs Pirc Moscow 1935. The trainee is asked at several times to find the best continuation for white at three different points until move 20 Kh1. After the king takes shelter in the corner the smoke clears and the first player has a decisive advantage. The material in Tactics in the Chess Openings is systematic and shows the historic development of the chosen opening overtime. The volume on the Gruenfeld defense starts with the systems with Bc4 and Nge2 by White (volume 1) then the modern systems with Nf3 are study in volume 2. 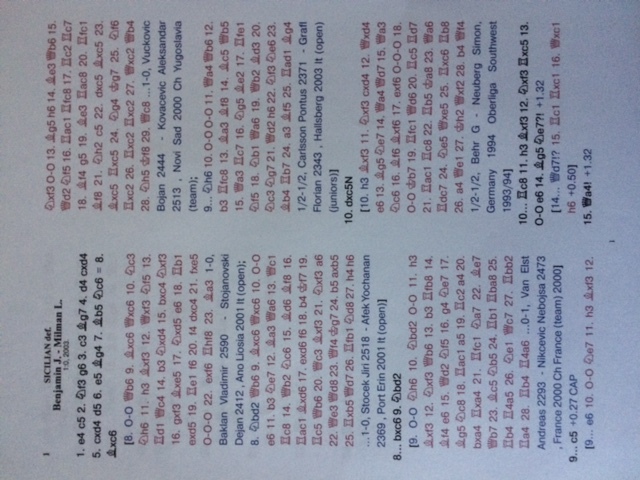 This demonstrates that the content in each course is not a compilation of random games or the infamous database dump. For instance, in the course on the Dragon variation of the Sicilian the training exercise #4 requires the move 15. Nc7! to complete the task successfully, but in the notes the move 15.c4 is cited as a predecessor. After 15. c4 White squanders the opportunity to get the upper hand and Black reaches equality (Bolesvasky vs Lisitsyn, Leningrad 1956 Urss Championship). This notes help the improving player to increase his/her chess culture and have a better idea how to play the position and not just memorize a move (Nc7). The target audience for the opening courses are players in the 1700- 2300 ELO range with the exception of the volume on the Open games with a range 1800 up to 2750! ELO. The games cover a wide range, from the classic Reti- Bogo games in the 20’s to modern games. The strength of the players in the examples can be equal, such as Grandmaster vs Grandmaster (master vs master) or highly unbalanced like Tigran Petrossian (2500+) versus a 2100 player. A relevant feature of this courses is that not all the puzzles ends with checkmate or a huge advantage, sometimes at the end of a tactical sequence one of the players achieves just a better position, and some work is required to win the game. This is more what happen in real games when after an opening mistake the weaker side stops the bleeding and set up a sturdy defensive barrier. Notes: The speed of the moves can be customize under the tools tab. Click tool, next options and adjust the animation scale to fit your preferences. I like to set the speed at level two. The courses can be acquire individually or as a package of ten. The study of the chess games of the World Champions like Fischer or Carlsen is a terrific training tool. The games and fragments of the games of chess champions can be used to improve our mastery of key aspects of chess such as strategy, endgame technique, defensive skill or tactical skills. 4 World Chess Champions is a chess training program developed by Convetka and built around the games of Fischer, Kasparov, Anand, and Carlsen. 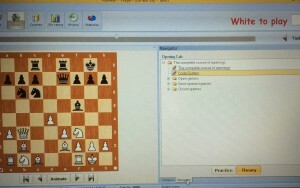 4 World Chess Champions has a sophisticate computer interphase (Peshka), that allows single or multiple users to solve a series of tactical puzzles from the games of the four champions mentioned above. What I like about 4 World Chess Champions? The Peshka interface enables multiple users. In other words in a household with two o mores chess player each one can use 4 World Chess Champions to train and track their progress individually. The process is simple go to tool, click players and create a new user. The performance tracking tools in 4 World Chess Champions are easy to use. The user can access his performance statistics with a click of a bottom at the top of the screen. 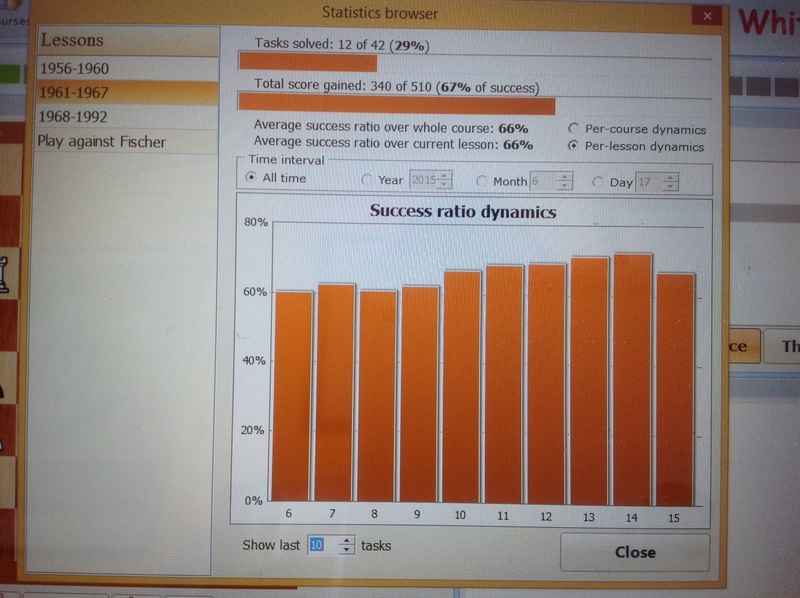 The statics are simple and displayed as the percentage of correct answer, total score gained and my favorite the chart of success ratio dynamics (typical bar graph). The program can be use in two different ways. The tactical training or puzzle mode (Practice tab) and the whole game option (Theory tab). Each task has the level of difficulty label as ELO. This label gives the user a clear idea how difficult is the puzzle and if the time spend solving the task was reasonable or not. The puzzles a timed like in a real tournament situation. The user can go over the solved puzzles with the test function to reinforce pattern recognition. You can submit a test after each lesson or after finishing the whole curse. The potential buyer should keep in mind that these courses do not offer detailed coverage of the life of any of the players in the course. Instead, the program provides hundreds of chess games. The games are arranged in chronological order and offer two tactical training alternatives. One option is to play like the world champion for example, Fischer . The second option is to play against the world champion. In the first set of puzzles the trainee is asks to play as Fischer and find a combination played by the World Champion. The second set of puzzles offers the student the possibility to “defeat” the World Champion by finding a “killer shot” played by one of the world champion’s opponents . In other words, 4 World Chess Champions, uses the wins and defeats of Fischer, Kasparov, Anand, and Carlsen as training material. I have been looking for a tool to confirm the analysis of my chess games and Houdini 4 running on the interface Aquarium is just perfect. Houdini Aquarium 2015 combines a powerful chess engine with a myriad of analysis functions to supplement your own analysis. 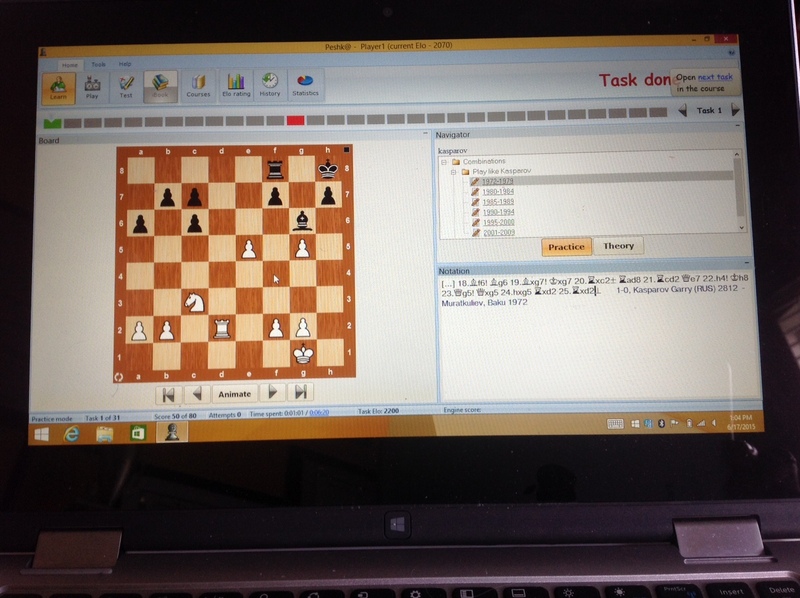 Analyzing your own games with your own brain and then running the game with Houdini Aquarium 2015 is a good method to improve your chess understanding and your over the board results. I like three features in Houdini Aquarium 2015. 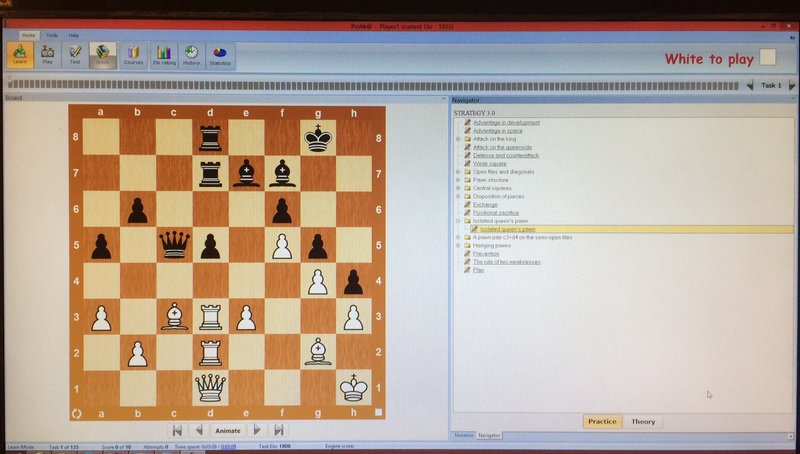 First, the program has a user friendly interface, second, Houdini Aquarium has a lot of muscle power (aka Houdini 4) and third the programs has great flexibility in chess analysis options. Houdini interface allows users to discover the program functions by just browsing the menu and reading the explanations. The program interface is so easy to use that downloading a chess engine from the internet like Stock fish 5 takes 10 seconds just click the download engine from the internet and the menu with the available engines and updates pops up. Now that you have Stockfish 5 you can run engines matches to study a particular opening or middle game position. The infinite analysis function is also very intuitive. For example, under the infinite analysis tab the user set the parameters for Additional Infinite analysis options by just selecting the time on a window. The user not need to read the whole manual to start using Houdini Aquarium 2015. The program is plug and play. As mentioned previously, Houdini Aquarium 2015 comes with Houdini 4 preinstalled and the option to download engines from the internet or you own files. In other words, the user gets out of the bat two powerful engines to start his/her own analysis without spending additional money. I run Houdini Aquarium 2015, on a Toshiba Satellite, with a Core i5 processor @2.1 GHz and that looks enough to get a lot of analysis done without buffering. I believe that Houdini Aquarium 2015 provides the chess club player with enough analysis power to can stay on top of his game. The game analysis of Houdini Aquarium 2015 is ideal for club and professional players. The club players will benefit from a reliable game analysis that can be done in as much as ten minutes or rely on infinite analysis of a position. A chess game can be quickly scanned to find blunder right after your finish a game. That is a good way to check your opponent’s suggestions after a game. You know the usual “I think that your position started going South from here “type of comment. Professional and correspondence players can use the Idea function in Houdini Aquarium 2015 to explore a position deeper than with infinite analysis function. The IDEa tab allows user to check the value of several candidate moves instead of just working on a single position (like in infinite analysis). 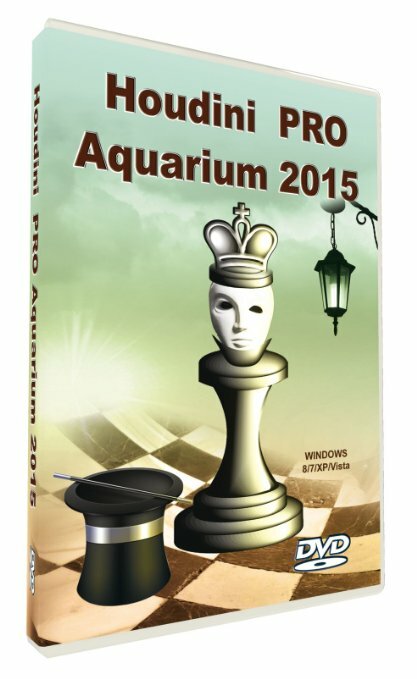 In summary, I recommend Houdini Aquarium 2015 as a cost effective tool to improve your chess and fuel your passion for chess analysis. 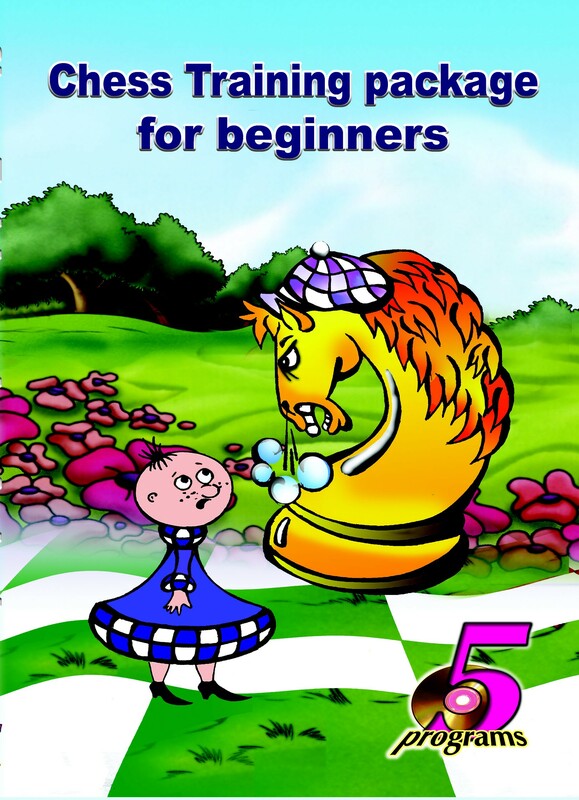 The training package for beginners (TPB) is a novel chess training tool offered by Convetka. The package contains five different program, Elementary Checkmates I, Elementary Checkmates II, Easy Ways to take pieces, Chess Tactics for Beginners and Complete Chess Course. The programs are designed to take a beginner (300 USCF) and help them to progress above the 1200 USCF mark. What makes the training package a good choice for an aspiring beginner in chess? In my opinion the TPB offers a massive amount of exercises organized in a systematic way that help the trainees to acquire the fundamentals to make to the next level. The programs can be used by multiples players at the same time, but each player retains his/her rating. In contrast, similar tools offered online can only be used by one player. You can share a password, but only one rating is associated with the account making difficult to keep track of the progress of multiple players using one account. After the fundamentals are cover the trainee can start working on the complete chess course. This course is suitable for players above the 1200 USCF mark, although the section on using a desicive material advantage can be use in the 300-500 USCF range. This course introduce more advance material that its predecessors because the introduction to basic chess strategy and chess endings. In chess strategy the discussion of pawn structure and different type of advantage will introduce the trainee into the big leagues of chess, same goes for the section of endgames. 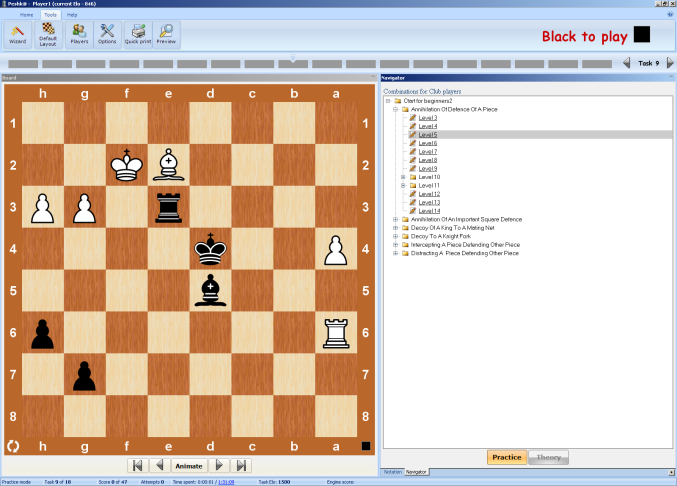 The endgame section is particularly useful because of the computer graphics that help to visualize rules such as the square rule to promote a pawn. 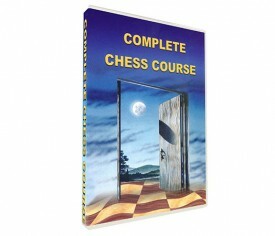 This package is recommended to help begginers to make it to the next level of chess. The Modern Chess Opening program provides the user with good introductory and advance material to systematically study chess openings. 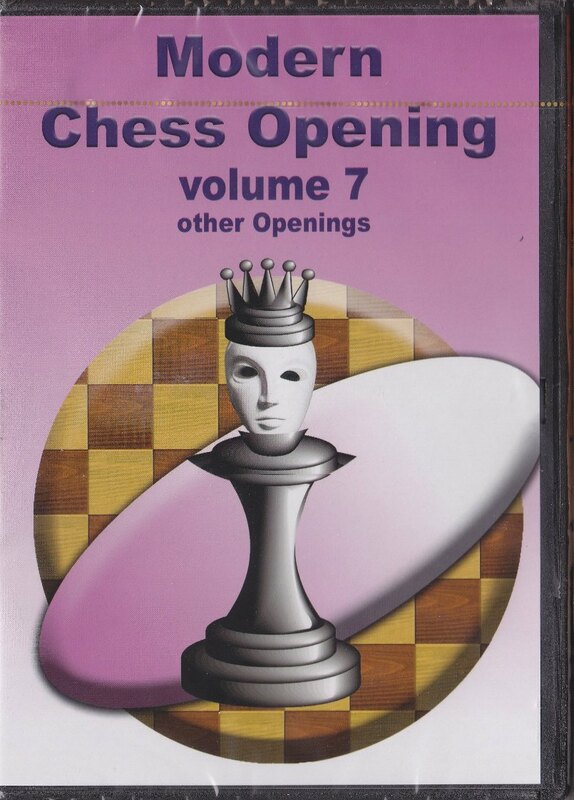 The openings are cover in seven DVDs named open games, semi open, semi close (closed) games, close games, Other games and the Sicilian defense that is cover in one DVD. The program uses a theoretical and a practical sections to study each opening. The theoretical section introduces each opening briefly and uses model games to show the main ideas and recurrent themes characteristic of the opening under study. A list of model games is also provide to the user to cement his grip on the opening. The number of model games depends on the importance of the opening. For example, a seldom use opening like the Hungarian defense has two model games. In contrast, a topical opening like the Sicilian has its own DVD. The practical section has hundreds of exercises to solve and become familiar with the tactical resources available to white and black in a particular opening. The DVDs have some shortcoming that the potential buyer needs to take into consideration. First, the English in some part of the text is wordy and may sound awkward sometimes. On the plus side. The material is covered in a systematic fashion and the openings are discussed through the games of strong players. Players that contributed to the theoretical development of the opening under study have their games dissected and annotated thought the DVD. For instance, The Kings Gambit is explained thought the games of Boris Spassky and David Bronstein. The model games in the Scandinavian defense included the theoretical battles between Karpov and Larsen. In other words, the development of every opening is show under the light of chess giants that attacked or defended a particular opening over a long stretch of years. At the end the user learn how the typical methods to play an opening evolved over the years as well as the reason behind theoretical opening moves. In my opinion The Modern Chess Opening series is a good tool to study chess openings. The material in the DVDs is organized in a systematic fashion. The DVDs are not made by copy and paste from a database because the reader can see how the model games are connected by themes. The user learn opening theory by looking how an idea that worked for black (or white) in a game will be challenged by a novelty in the following game. The novelties, are produced out of the necessity of counter an idea that was giving problems to white or black in a particular variation. This progressive approach makes opening study more rational. productive and fun. The encyclopedia of opening blunders is an advance chess training platform that help chess entusiasts to become familiar with opening pitfalls and the tactical motifs/themes behind the mistakes. Most exercises take place after each side complete fourteen moves or so and the players are master strength, so the program is not a collection of well know opening traps or catastrophic blunder from weak players. Instead,The encyclopedia of opening blunders are a systematic collection of Opening blunders classified b opening in alphabetic order. The student may use the program to cover specific openings or perform a whole review on a wide range of openings. As the user work on the program he/she become familiar with the tactical opportunities that arise from opening with open center or close center. For instance, opening with an open center are rich in double attack and unprotected pieces drop off. In contrast, closed center are characterized by pieces with a limited mobility that can be trapped or pawn/squares that cannot be protected as a consequence of limited piece mobility. Matting Combinations in the Opening is a program designed to traing the calculation of long matting sequences out of the opening. Tactical motifs in critical lines of fashionable opening such as the Sicilian Najdorf are covered. The student can learn the typical matting attacks that work in the najdorf right out of the opening. For example, a Black king in the center is an easy prey of a lighting attack on the light square color complx, d5,e6,f5 as demonstrate in several game including Scmit versus Dementiev. This game is an eighteen master example of the danger luring Black in the Najdorf when strategic goal take priority over king safety. The best way to use Matting in the Opening is to select the opening to study and set aside a quality chunk of time to go over the examples. The games come from master praxis so gross blunders are not common and the user needs to search for forcing sequences to force mate at the same time that calculates all defensive resources for the weak side. It is important to mention that is reducing the navigator window hides the type of mate you are looking for. This small trick will help you to get the most out of every exercise. A chess player of any level always enjoy a quick victory in chess . In How to Win Miniatures at Chess the user will sharpen his/her matting skills by working on mate in two moves exercises that come from real chess games. The fact every example is classified according to the chess opening that originated the position at hand, allows the user to select the opening he/she wants to become familiar with. For example, if you want to study the Ruy Lopez, you can chose to work on mate in two puzzles that come from the Ruy Lopez only. Players with limited time to study will progress fast in mate in two combos by focus their study time on the opening they are more likely to face. For instance, if you already know the openings that your opponent’s at the chess club are more likely to play, then optimized your study time by looking at mates in two that come from your opening choice at How to Win Miniatures at Chess. The World Champion Complete Chess Course is a program tailor to intermediate players (USCF) that helps the reader to move to a more advanced chess leve. The courses starts with how to use a decisive material chess advantage, explaining how to use the major pieces. 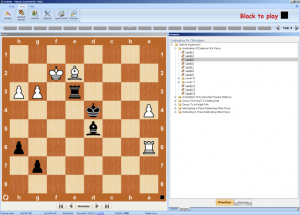 The program trains the user on efficient calculation to use the extra material to mate your opponent king in two moves.Next chapter is about how to play in the opening, but the training has little in common with opening theory and focus on seizing tactical oportunities in different scenarios such as after, achieving a superior piece mobilization or active play to fight for the center is required. As soon as the student finish the opening training, he/she can tackle the middlegame training on pawn structure and piece coordination followed by puzzles on the endgame. 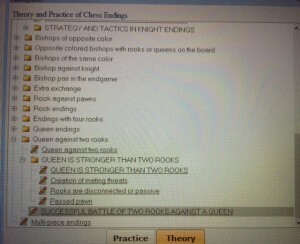 The course ends with two chapters on Tactics and strategy, respectively. The material in this course require commitment to systematic work and true desire to improve. Recommended! Combination for Club Players is a tactical training program suitable for advance beginners and up. The user starts working on combination that wins material such as elimination of the defender and moves up to more sophisticates themes such as drawing combinations. Players looking to improve their defensive resources will profit from working on drawing combinations because a hallmark of chess improving is the player ability to hold and save inferior positions in a chess games. Take the following position as an example. Combination for Club Players offers the user the chance to learn how to draw positions that appear lost. For example simplifying to a wrong color bishop endgame in which the weaker side (King only) fights against a bishop and a rook pawn. If the defending King controls the queening square and the bishop can not help the pawn to promote then the game is a draw.Combination for Club Players is a valuable chess training tool, but the potential buyer needs to realize that some combinations leading to a draw do not have additional explanations or evaluations. Beginners unfamiliar with fundamental endgames may be baffled at the end of a combination that grants a theoretical draw despite a size material advantage from one side. Attacking the King I is a program designed to help you hone your attacking skills against your opponent’s king. A total of Thirty three thousand positions are divide by piece combinations. The student may focus on the piece combination that is giving him trouble, such as the Capablanca Tandem (Queen + Knight). Attacking the king is a good tool to ‘build tactical strength’ in a short period of time. The program starts with challenging positions that can be solve by players in the 1450-1500 USCF rating range or by ambitious intermediate players. Attacking the King II is the follow up to attacking the King I. The level of difficulty in attacking the king II is obvious, because now the student must solve mates in three and four moves. In consequence before tacking this program the user news to master volume I. The puzzles are more difficult because the viewer needs to calculate the matting sequence along with random checks by the weaker side. For example, a puzzle of mate in three requires that the weaker side can not give a desperado check to drag the game one more move, and the mate is one more longer than the solution requires. AS you may expect, Attacking the King II will required your undivided best in order to solve the positions. Enjoy. After a chess player master the basics of chess, the next step is to pick an opening with White and a couple of defenses as Black. Opening Lab by Convetka offers a quick survey on all openings and provides a series of tactical puzzles too. 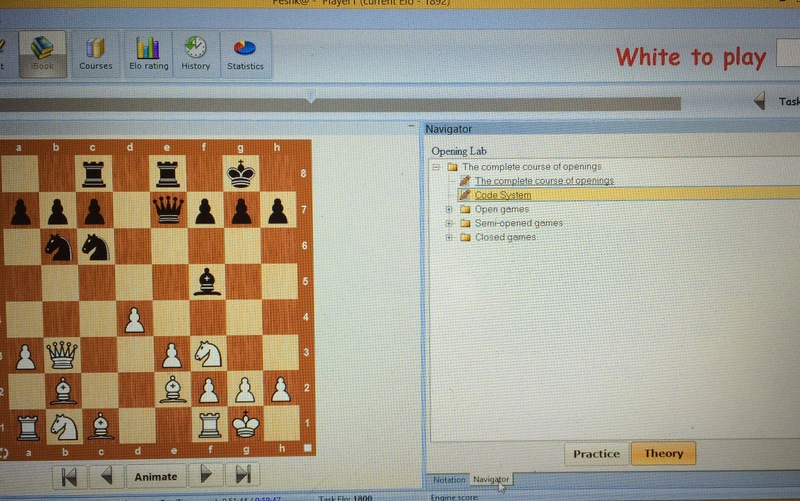 Working on Opening Lab is an easy way to pick up a chess opening that fits the student’s taste. Opening Lab is less comprehensive than Tactics on the Chess Openings or Modern Chess Openings (also by Convetka). I think that a chess enthusiast and advance beginner looking to play chess tournaments are the right audience for Opening Lab. The positions to solve are gauge around 2000-2100 USCF, so they are not the typical tactical shot that wins in one or two moves. Instead, the position to solve need to be cracked with a combination of tactics and positional motifs coming from the particular structure or opening under discussion. The examples come from grandmaster praxis, usually following a famous practitioner in a particular structure. For example, the Carlsbad structure chapter relies heavily on the games of Tigran V. Petrossian (although, the classic game Portish- Petrossian 10th match game 1974 is missing). It is important to mention that some openings or systems have a different name than in the US. For example, the Kings Indian Attack, A.k.a KIA is discussed in volume III under the name Kings Indian Opening. A situation appears in volume V when the Sveshnikov variation of the Sicilian has the label of Cheliabinsk. 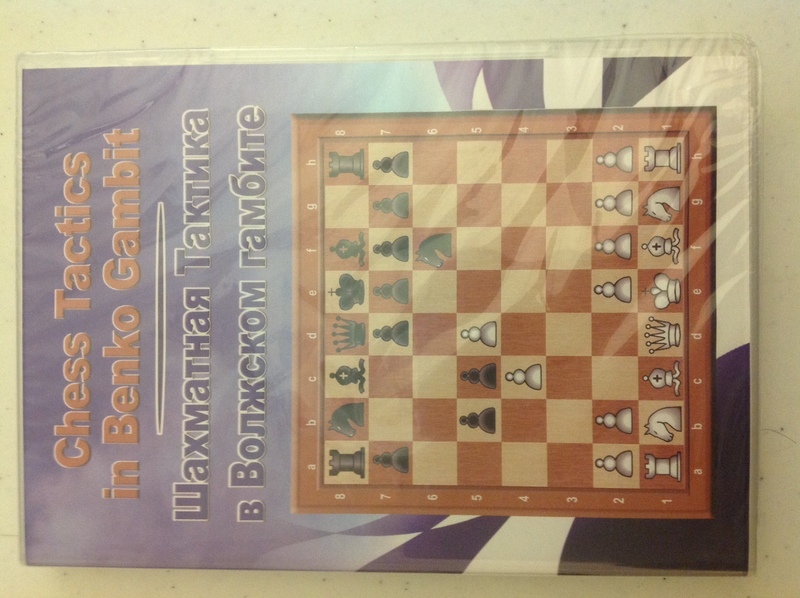 I think that this DVD set on the middlegame is a suitable tool to advance players with the exception of the chapter on the Scandinavian defense that is scarce and does not include material on the 3…Qd6 variations (method to play the popular pawn structure that arises from the Tiviakov, Qd6 Scandinavian). Advance chess players looking to improve their strategic armory are the target audience for Chess Strategy 3.0.The material is organized in a progressive fashion from simple to complex. The first two chapters (see full DVD content on the picture) cover how to exploit a lead in development and space advantage respectively. The new knowledge acquired on development and space advantage can be use in chapter three ” Attack on the King”. 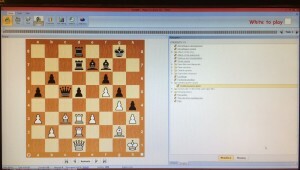 Later, the DVD cover topics regarding the board such as files and diagonals and weak squares, followed by a discussion on the isolated queen pawn (IQP) . Finally, Chess Strategy 3.0 ends with the most demanding material for the student with the concept of planning. 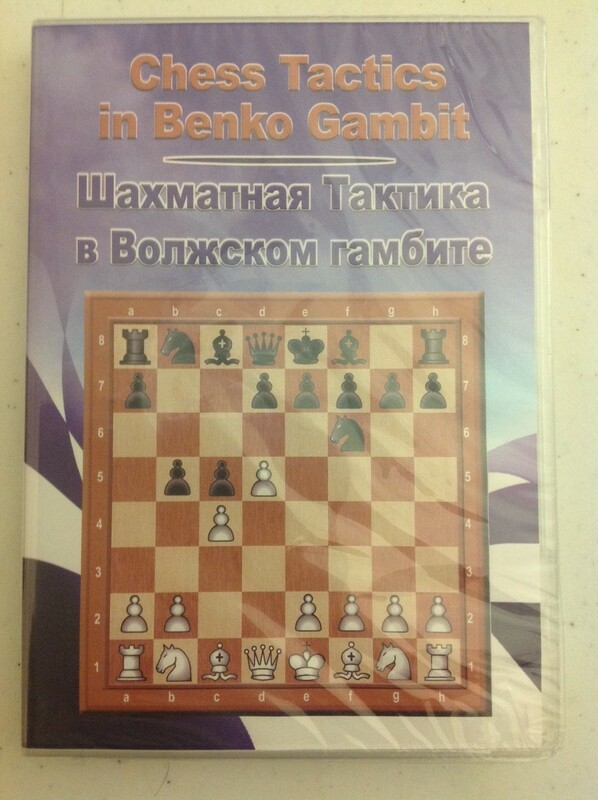 The last part is difficult and uses examples from great players that excel in strategic position such as Anatoly Karpov. For instance, the game Karpov – Polugavesky, Moscow 1974, requires an ELO 2400 to find a complex reagrouping maneuvre on the dark squares. The endgame is a key component of chess mastery and the ambitious chess player can not ignore it. In Theory and Practice of the Chess Endings, the student will get enough theory and practice excersice to improve his/her endgame play without spending money in several publications. Just get everything in one stop. 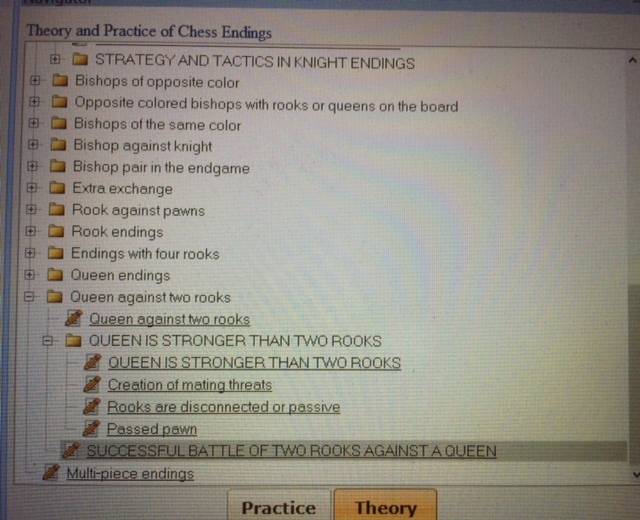 in addition to traditional content on the endgame,Theory and Practice of the Chess Endings offers three chapter on topics that are usually negected in endgame manuals such as the extra exchange in the endgame, Queen versus two rooks and multipiece endgame. 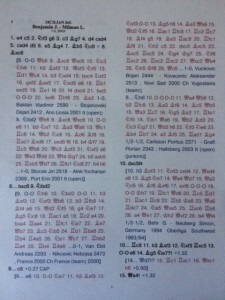 The format and content of Theory and Practice of the Endgame allows the student to learn the basic theory on endgames, practice what he learnt and self study the transition from middlegame to a particular endgame.Each chapter has a short introduction about the nature and importnace of a particular endgame, followed by a large number of timed excercises. At the end of each excercise, the user can click the notation tab and access the game data that originated the puzzle.The student can go over the game and pin point the method the master uses more frequently to transition to that particular endgame. Theory and Practice of the Endgame is a very cost effective tool to learn the endgame in a systematic fashion and acquire practice before over the board play. Players looking for additional training position can get Total Chess Endings, a program that offers the same content than Theory and Practice of the Endgame, but has 2450 positions to hone your endgame skills. 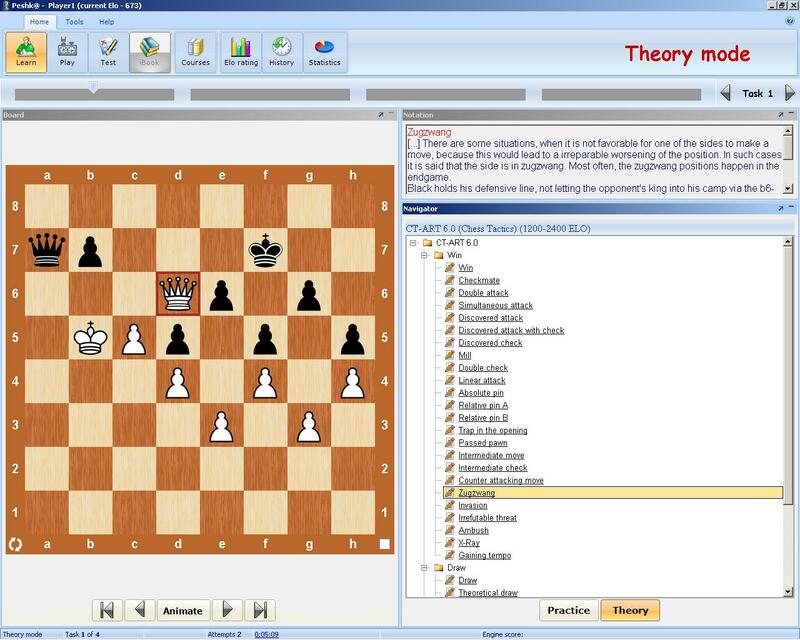 The new version of the popular chess training tool CTART was release a few months ago. The content in the 6.0 version of CT ART goes from easy to more complicate as previous versions but the user has the opportunity to drill other aspects of tactical play only cover in books of Mark Dvoretsky, name prophylaxis. In the past the term prophylaxis was related to positions with a strategic character, but lately, the concept have been incorporated as way of think in chess in order to improve your tactical play and calculation. In other words the user of CT ART 6.0 will discover practical positions where prophylaxis is the key to play sharp positions. In the long run the user will develop the habit of check for his opponent’s threats before starting to calculate any variations. In contrast, most books on tactics in the market (and software) only drills the user in positions with one side to move and win. In the long run the user will develop the bad habit of jumping into calculation before considering his opponents resources and threats. My favorite feature of CT Art 6.0 is the position about creating fortresses (restricting material tab). I enjoyed fortress with bishop and two pawn versus Queen and pawn. 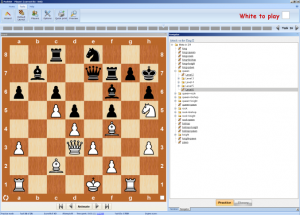 In addition the program also have hundreds of chess studies to be solve by the user. For example the volume 1 contains one hundred studies to solve. In summary, CT Art 6.0 is an improved version of CT ART 5.0 and a great training tool for amateurs at a reasonable cost. Recommended! The new version of Convetka flagship chess database program, Chess Assistance 17 was released this year with a series of major improvement. 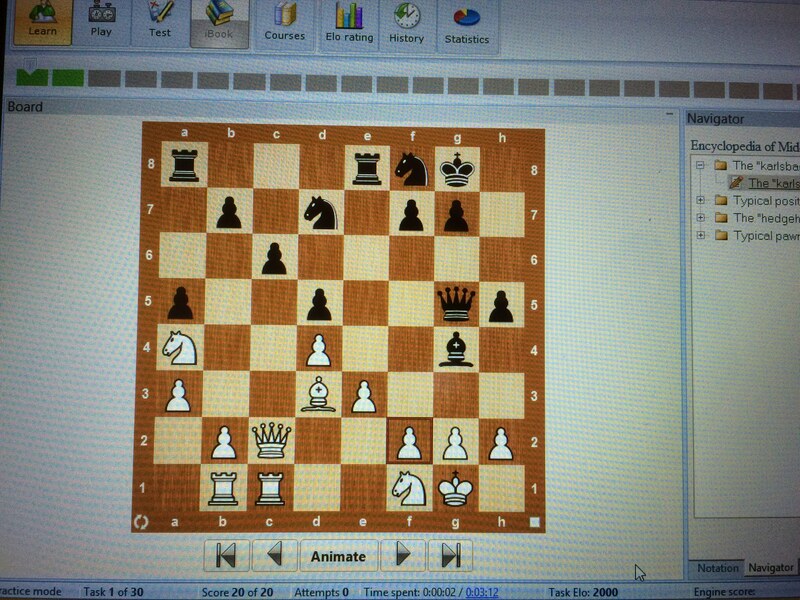 The most notable improvement is the inclusion of Houdini 5 as the main chess engine. Houdini 5 is available in two versions, standard (computer Elo around 3300) and PRO version with a computer rating fifty points higher. CA 17 analysis power will cover the needs of most chess players, amateur and professionals a like. Amateurs can use CA 17 to analyze their games, write comments and search relevant games in the main database. If you own any version of ChessKing you can use the GigaKing database. 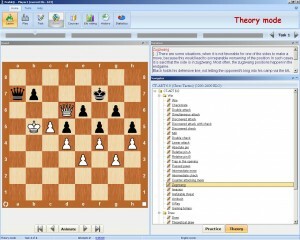 A game can be analyzed at two different levels with CA 17, the first level of a analysis, will check player’s annotations (blunder check function and infinite analysis, the second level of analysis consist in comparing the user moves against the opening theory (CAP) to quickly verify how good he/she handle the opening. This fast reference is useful to analyze game during tournaments, because there is not that much time between rounds and a player can fix an opening shortcoming in a matter of minutes (without heavy investment of energy). Professional chess players will benefit from CA 17 functions at two different levels. At the first level, CA17 is a valuable tool in opening preparation, a must for every competitive player these days. The second level, takes advantage of the inclusion of engines matches and a human directed analysis the user can find opening innovations or explore variations that require a high dose of computer power, such as the Gruenfeld. Finally, professional chess coaches can use CA 17 database management functions to keep their files organize and more importantly, produce easy to follow printout for their trainees. CA 17 follows in the footsteps of its predecessors and is recommended regardless of your chess level.